In this book, scientists from eleven countries summarize the results of an EU project (CLIME) that explored the effects of observed and projected changes in the climate on the dynamics of lakes in Northern, Western and Central Europe. Historical measurements from eighteen sites were used to compare the seasonal dynamics of the lakes and to assess their sensitivity to local, regional and global-scale changes in the weather. Simulations using a common set of water quality models, perturbed by six climate-change scenarios, were then used to assess the uncertainties associated with the projected changes in the climate. The book includes chapters on the phenology and modelling of lake ice, the supply and recycling of nitrogen and phosphorus, the flux of dissolved organic carbon and the growth and the seasonal succession of phytoplankton. 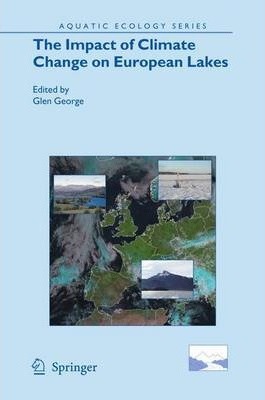 There are also chapters on the coherent responses of lakes to changes in the circulation of the atmosphere, the development of a web-based Decision Support System and the implications of climate change for the Water Framework Directive. Illustrations note XXVI, 508 p.
The Impact of Climate Change on European Lakes.- Using Regional Climate Models to Quantify the Impact of Climate Change on Lakes.- Modeling the Effects of Climate Change on Catchment Hydrology with the GWLF Model.- Lake Ice Phenology.- Modelling the Formation and Decay of Lake Ice.- The Impact of the Changing Climate on the Thermal Characteristics of Lakes.- Modelling the Impact of Climate Change on the Thermal Characteristics of Lakes.- The Impact of the Changing Climate on the Supply and Re-Cycling of Phosphorus.- Modeling the Effects of Climate Change on the Supply of Phosphate-Phosphorus.- The Impact of the Changing Climate on the Supply and Recycling of Nitrate.- Modelling the Effects of Climate Change on the Supply of Inorganic Nitrogen.- Impacts of Climate on the Flux of Dissolved Organic Carbon from Catchments.- Modelling the Impacts of Climate Change on Dissolved Organic Carbon.- The Impact of Variations in the Climate on Seasonal Dynamics of Phytoplankton.- Modeling the Effects of Climate Change on the Seasonal Dynamics of Phytoplankton.- The Influence of Changes in the Atmospheric Circulation on the Surface Temperature of Lakes.- Regional and Supra-Regional Coherence in Limnological Variables.- The Impact of Climate Change on Lakes in Northern Europe.- The Impact of Climate Change on Lakes in Britain and Ireland.- The Impact of Climate Change on Lakes in Central Europe.- Developing a Decision Support System for Assessing the Impact of Climate Change on Lakes.- The Socioeconomic Consequences of Climate Change for the Management of Water Resources.- Climate Change and the Water Framework Directive.- Climate Change Impacts from a Water Supply Perspective.